Congress has fielded its national spokesperson Randeep Singh Surjewala for Jind Assembly Constituency bye-election in Haryana. 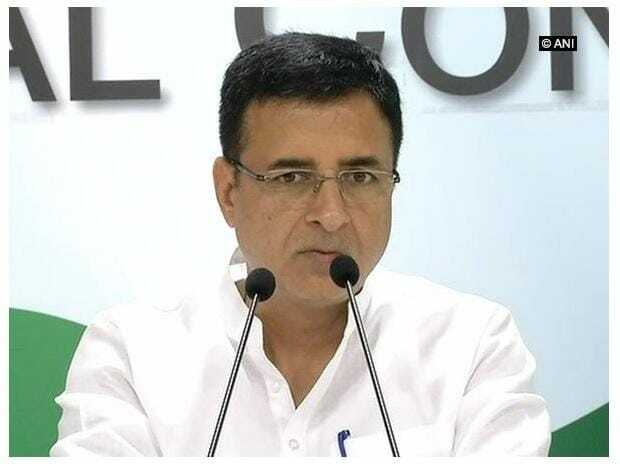 "Congress President, Rahul Gandhi has approved the candidature of Randeep Singh Surjewala as Congress candidate for the ensuing by-election to the Legislative Assembly of Haryana from the 36-Jind constituency," read a press release shared by All India Congress Committee (AICC) to announce the candidature of Randeep Surjewala. Surjewala is in-charge of Communications at Indian National Congress (INC). Jind assembly constituency was represented by Hari Chand Middha, a candidate from Indian National Lok Dal (INLD) party. The seat went vacant after Middha passed away due to illness on August 26. Bye-elections for the constituency are scheduled for January 28th. The counting of votes is scheduled for January 31.